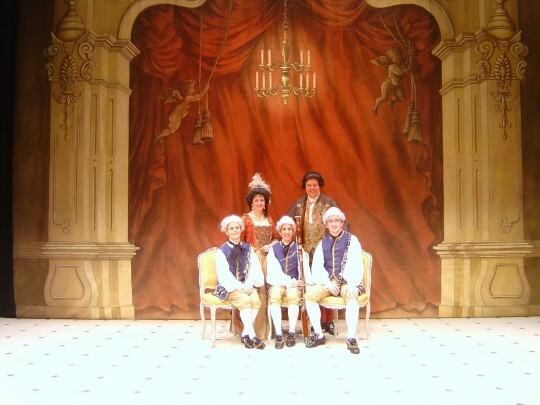 Be part of an 18th century salon and see elaborate classical costumes and hear Mozart’s music. Taking the guise of Emanuel Schikaneder, (Mozart’s lifelong friend) Brendan Wheatley wittily charts Mozart’s fascinating life – Mozart was first composing at just five years old – his loves and his operas. 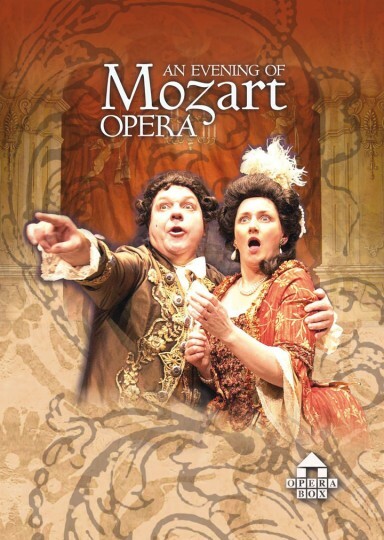 Especially arranged for wind trio (or piano), soprano and baritone, this is an operatic journey into Mozart’s arias and duets including excerpts from his most famous works The Marriage of Figaro and The Magic Flute, and also his lesser known operas. More than 200 years after his death, Mozart’s star still shines and he remains the most prolific Austrian composer of all time with some 600 works to his name. This delightful production transports audiences back to an 18th century salon, with elaborate, classical costumes and ravishing music. Mozartissimo is a performance the whole family can enjoy. Brendan Wheatley assumed the role of Mozart’s friend Emanuel Schikaneder… he traced the life of Mozart from his early days to his premature death at the age of 35. There were peals of laughter at his antics, particularly with his digs at the German sense of humour. His superb baritone voice and excellent characterisation brought to life many of the characters from nine operas. He was joined by soprano Alison Charlton West, in sparkling form, in duets and solos. We just wanted to write and say a big “thank you” to you and your team for your outstanding performance of ‘Mozartissimo’ at Tylney last Sunday. We have been inundated with compliments regarding the show, all of which we wholeheartedly agree with –well done to all of you……..thank you for the great entertainment. Attended (Mozartissimo at) the Carnglaze Caverns: thought it the finest, informative and most entertaining thing of its kind that could be found anywhere. It was an absolutely delightful evening which included some extremely good "one liners" as well as beautiful music (inevitably!) and copious information ("you don't get facts like that from a Christmas cracker..."). Will there be any press coverage of the performance? - it certainly deserves a very favourable review.! What a fabulous evening at The Heron Theatre, Beetham. Brilliant and so entertaining. Please send me details of when and where you will be performing so I can tell my friends. Thanks for giving us such a treat.